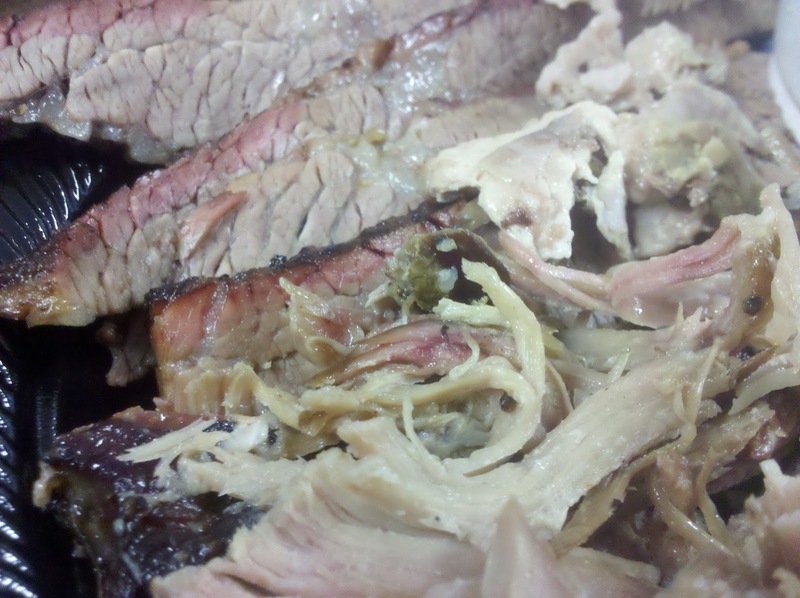 I first noticed Monroe's Smokehouse while driving down a side street off Cassat Avenue, and made a note to give it a try next time I was in the area. A quick Google search revealed many great reviews, several even proclaiming it the best in Jacksonville and making me more eager to try it out. 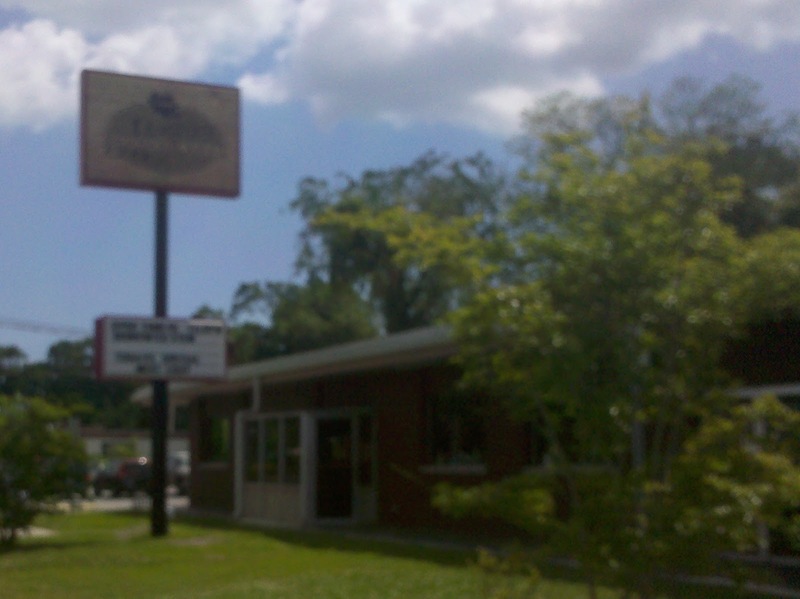 A couple weeks later, the opportunity arose, and I stopped in for a Friday afternoon lunch. The parking lot was packed, but I managed to find a spot. After entering the front door, you place your order at the counter straight ahead of you. 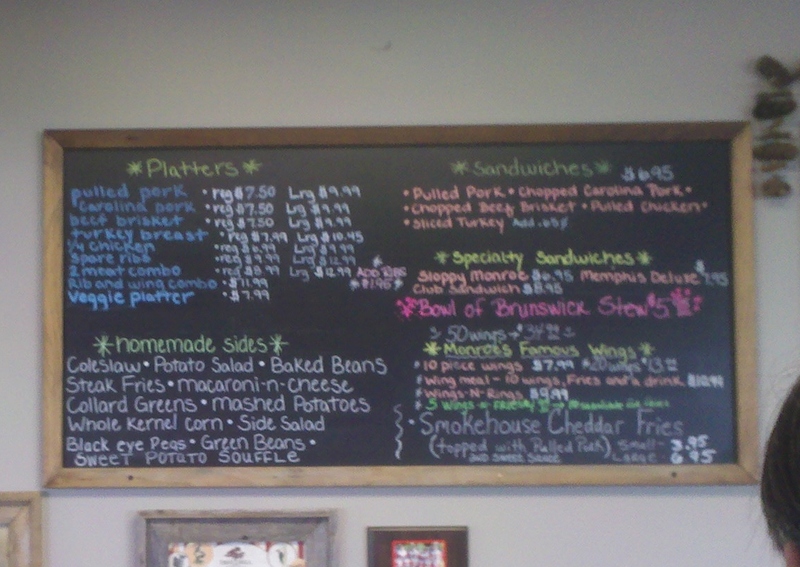 A colorful chalkboard lists the days specials and available side items. 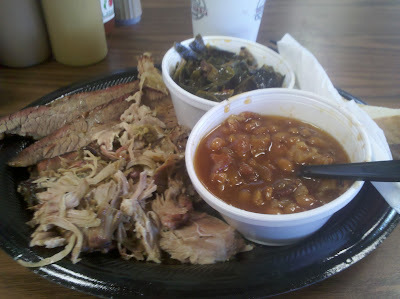 They had a two meat combo, so I went for pulled pork and brisket along with sides of baked beans and collard greens. A piece of texas toast was also included. After ordering, you take a number and seat yourself at one of the oversized booths. A few minutes later, my food arrived and I dug in. I poured out a little of the "Monroe Sauce", dipped a couple chunks of meat and found where all the smoke had gone. The sauce, like the sides, was intensely flavorful and it's sweet smokiness almost made up for the lack of it in the meats. 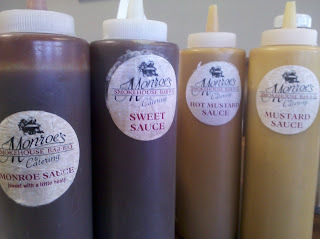 The mustard sauce was great as well, but the original remained my favorite. As good as everything besides the meat was, I wish I could give them a better rating. Best in Jax? I would actually agree with that. Unfortunately, that doesn't say very much.